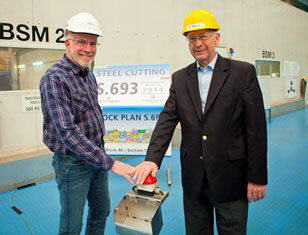 Norwegian Cruise Line and MEYER WERFT executives watched as the first plate of steel was cut by a plasma torch in the yard’s state of the art facility. This plate will become part of Block 46 that will comprise the new vessel. “Norwegian Escape will be 10th ship that MEYER WERFT has built for Norwegian Cruise Line within the last 15 years and this one is very special, because of the dimensions of approximately 163,000 gross tons and the many new innovations onboard,” said Bernard Meyer, managing partner of MEYER WERFT. 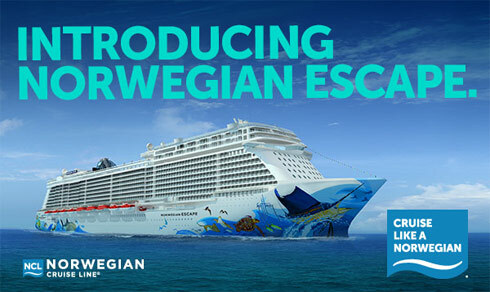 Norwegian’s two Breakaway Plus class ships, Norwegian Escape and Norwegian Bliss, will be approximately 163,000 gross tons and offer 4,200 passenger berths. The ships were named by Norwegian’s Facebook fans around the globe. Norwegian Escape will boast all of exciting and innovative features found on Norwegian Breakaway and Norwegian Getaway, plus a number of new spaces and interactive experiences that are yet to be announced.